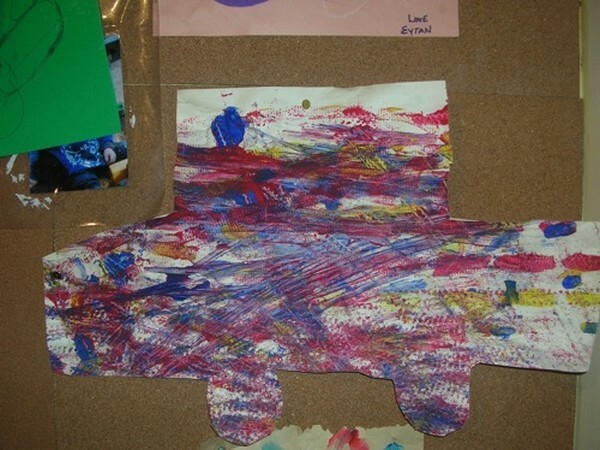 Painting activities are a great way to think out side the box and here are two examples: 'Spilled Milk' and toy cars. 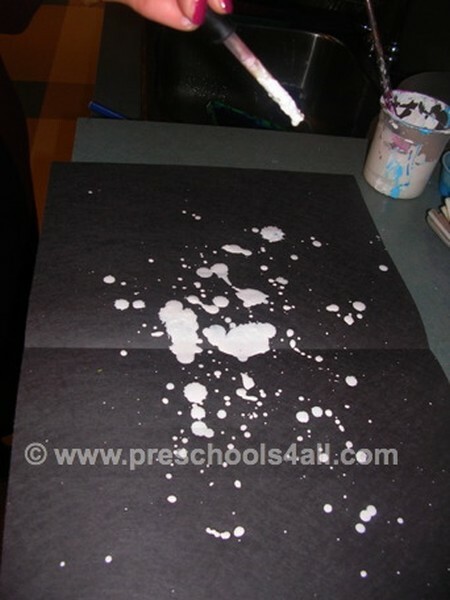 Great fine motor activity because children need to use a dropper to drop the paint on the paper. I build up the excitement by a drum roll before opening the paper to reveal the painting. The kids can not wait to discover what design their 'spilled milk' left behind. 1. 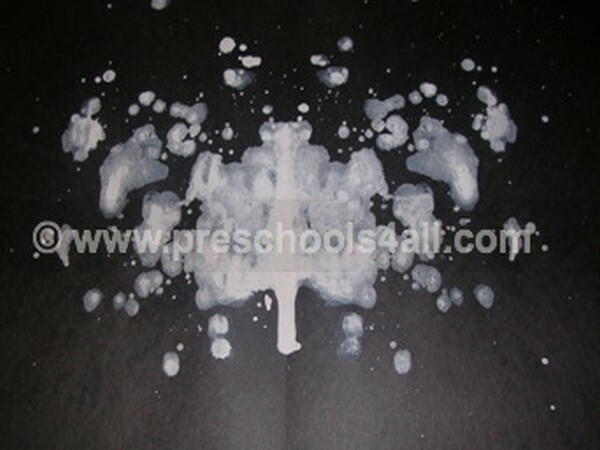 Let your child drip white paint on the paper. 2. Fold the paper in the middle to make a print on the other side of the page. 3. Open up the paper, and what did you get? It looks like spilled milk! Ask your child what does the spilled milk look like? A bunny, A cloud? 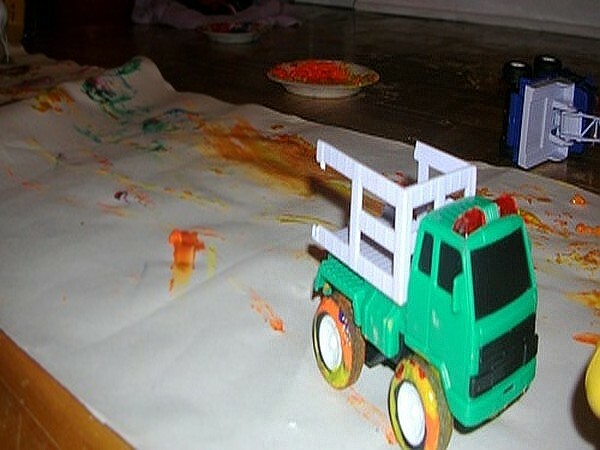 Try combining different toys with paint. On a cold winter's day, my son was playing with cars and he wanted to paint, so we combined the two! He was so happy to roll the cars in the paint and then just send them rolling on the paper. This activity develops creativity, gross motor skills and helps preschoolers recognize different shapes and sizes. 1. Dip the car wheels in the paint. 2. Roll the cars on the paper. I find that boys in particular like this paint activity. I'd recommend to use a variety of cars (big and small) so your child can explore different wheel sizes and textures. I cut out my son's creation in the shape of a car to make it a little more fun.